The Friends of the Landfill could help coordinate volunteers for recycling projects and to help maintain facilities. People who are interested in volunteering to be Friends of the Landfill can submit a letter of interest to the Dillingham city clerk. The Dillingham City Council formed a Friends of the Landfill group at their meeting last week. The group could facilitate volunteer participation in some of the landfill services, such as fish waste disposal, composting, recycling, maintaining the grounds, and securing the facility from wildlife. The idea for the group was Paul Liedberg's before he finished his term on the Dillingham City Council last year. He spoke in support of the resolution as a resident at this month’s meeting. The resolution to form the group passed unanimously. There’s already a history of volunteers assisting with waste disposal in and around Dillingham. Last summer, Liedberg led a group of civically minded residents in changing the way Dillingham dumps its fish waste. The fish bin used to be situated outside the landfill. Volunteers cleared a spot for it inside the landfill gate and set up an electric fence as a perimeter. 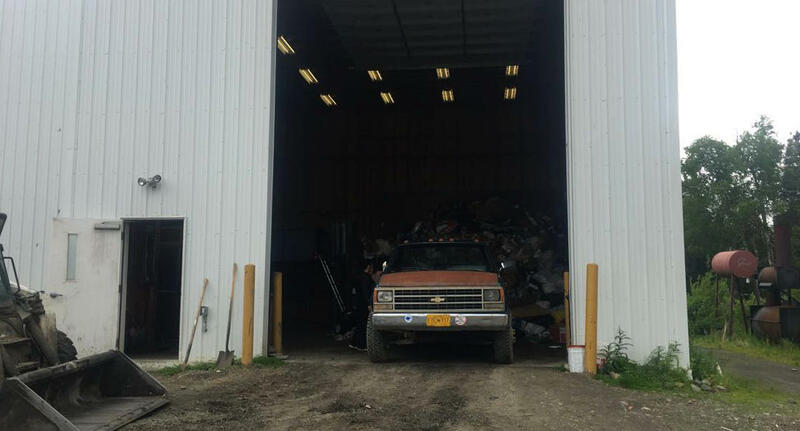 According to the Alaska Department of Fish and Game, the number of bear incidents around town this summer also decreased, indicating that the dumpster was a success. Liedberg anticipates that the Friends of the Landfill could tackle programs that would reduce the influx of solid waste. The Friends of the Landfill will be made up of 5 to 11 residents, and they will volunteer in projects determined appropriate by the City of Dillingham Public Works Director. The resolution to form the Friends of the Landfill passed unanimously. The Dillingham City clerk is accepting letters of interest. A simple email stating that you’re interested in being a part of the group can be sent to cityclerk@dillinghamak.us. This summer, the City of Dillingham moved the fish waste bin inside an enclosure by the landfill and limited hours of access in an effort to deter bears from feasting on salmon remains. And it worked.